Michael Yeh, DDS, MSD, PS, is recognized for his excellent comprehensive restorative, cosmetic, and implant dentistry. Dr. Yeh has practiced dentistry for 25 years. Extensive training and experience in implants, prosthodontics, and all fields of dentistry has made him uniquely qualified to provide his patients with better diagnosis and treatment. Dr. Yeh will make sure that you know the pros and cons of different treatment options, so you can be sure that you are making the right decision for your health and will achieve successful results. 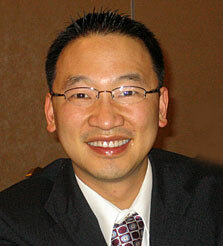 From 1990 to 1992, Dr. Yeh completed advanced training in all aspects of dentistry. He is a certified prosthodontist, a specialist who has successfully completed an additional three year advanced program in prosthodontics and implant dentistry, and this provides him the added expertise to diagnose and treat the most complex dental problems. In 1998, he completed his prosthodontic residency and received his Specialty Certificate in Prosthodontics and Master of Science in Dentistry Degree (MSD) from the Graduate Prosthodontic Program at the University of Washington. Dr. Yeh is the only Board Certified Diplomate of the American Board of Oral Implantology and Implant Dentistry in King County, WA. Obtained through a rigorous examination process, the Diplomate status symbolizes the highest level of competence in implant dentistry. Dr. Yeh is also the only implant dentist in Washington State to hold Fellow, Master, and Diplomate statuses in the International Congress of Oral Implantologists, the highest honor given only after extensive case documentation and oral examinations. Dr. Michael Yeh is also a clinical assistant professor of the Graduate Prosthodontic and Restorative Department at the University of Washington’s School of Dentistry. He lectures nationally as well as internationally on comprehensive aesthetics, treatment planning, and all phases of advanced implant dentistry. Dr. Michael Yeh DDS, MSD want to serve you and your family as dentists with elite training and a comfortable office. Call for your appointment with Dr. Yeh to experience the difference of a dentist who cares about providing optimal dental solutions. Treatment by Dr. Yeh will have you smiling about going to the dentist. 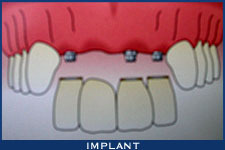 We have a variety of dental implant services. Do you have a missing tooth? We can replace missing teeth in an hour. Dental implant services protect your facial structure. 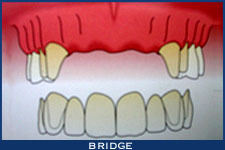 Our dental implant services replace slipping dentures. With our dental implant services your new teeth will stay in place. No embarrassing moments with slipping dentures. As apart of our dental implant services we’ll show you how to care for your new dental implants. Preserve your smile and dental health with our dental implant services.